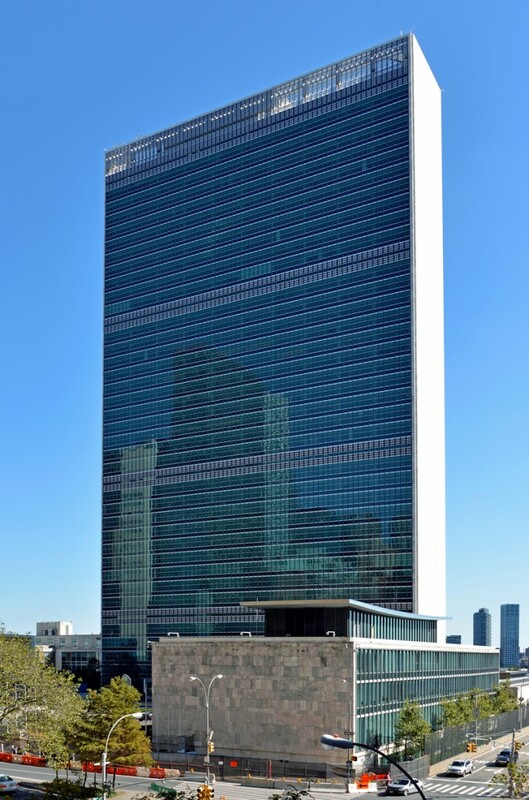 The United Nations Secretariat Building visit was an inspiring moment for some of the attendees of the CTBUH NY conference. 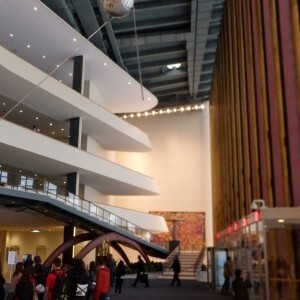 The tour was hosted by UN Assistant Secretary General Michael Adlerstein, who guided the group of visitors through some of the most exclusive and famous parts of the building. 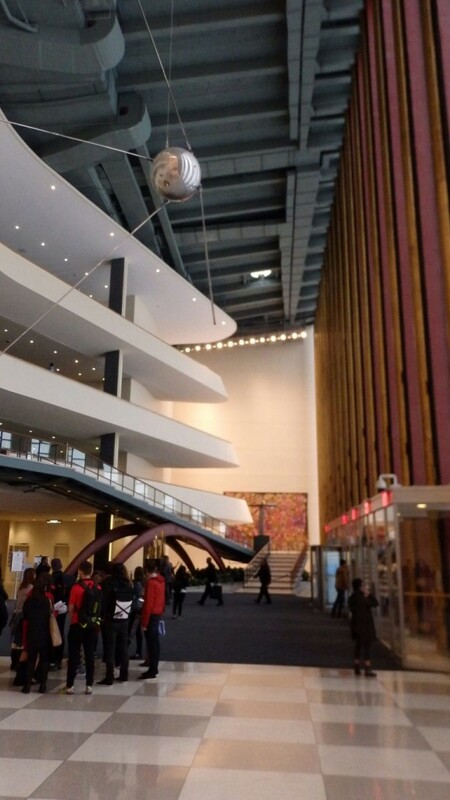 The tour began with a general description of the entrance hall, and highlighted some of the art pieces donated over the years by member-countries of the UN. 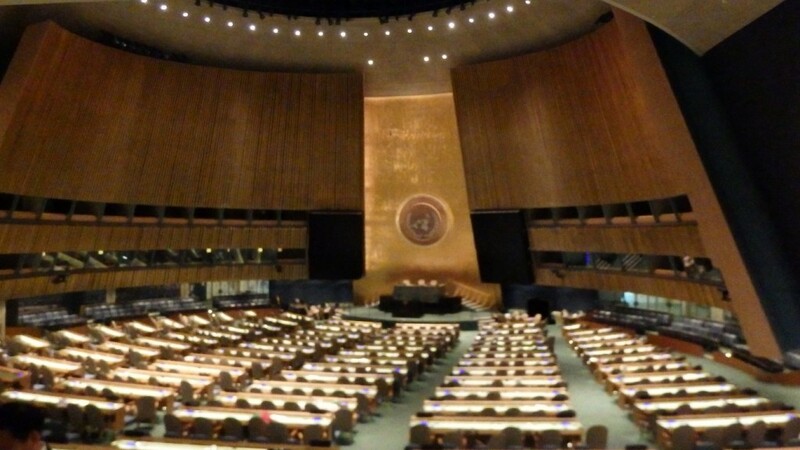 From there, the tour quickly progressed into the magnificent General Assembly meeting room, where attendees were given interesting details on the building itself, the activities carried out in the room, and some oddities in the procedures of UN assemblies. Visitors then rode in an elevator still serviced with a lift-boy – not because it was a historical piece of equipment, but because some diplomatic personnel from many countries still don’t want to operate an elevator by themselves. 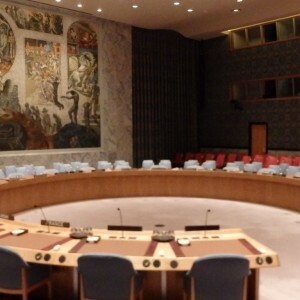 The visit continued into the Security Council room, offering the CTBUH delegates a unique opportunity to access the room from the lower level and walk the floors where war and peace are discussed. Visitors were educated on the vivid symbolism of all decorations in the room, such as those of the entrance door. The exterior panels of the entry door are decorated with swords representing the entrance of people ready to make war; contrarily, the internal panels of the door are decorated with ears of corn, symbolic of those leaving the room now ready to enjoy peace and prosperity. 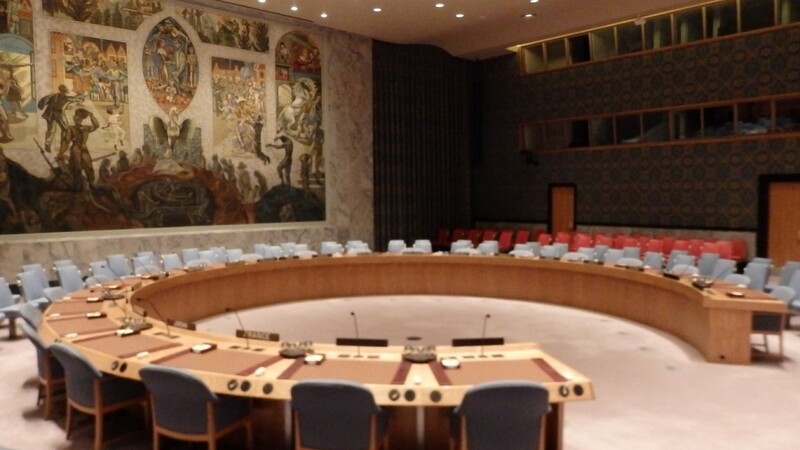 A tour of the UN Trusteeship Council chamber followed, where many interesting details on the building HVAC system were offered to exemplify the extensive refurbishment works the building has undergone in recent years. Finally, CTBUH attendees were allowed to enter the tower, where most UN offices are located, enjoying the quality of the interior spaces and understanding the challenges faced during the restoration of the building. 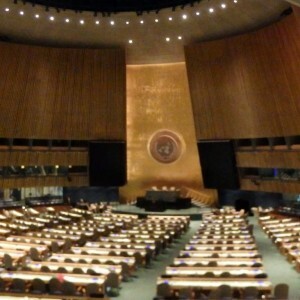 The tour offered a unique possibility not only to visit a magnificent building, but also to learn more about how the UN works from an insider perspective.